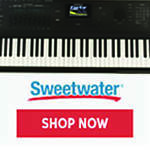 Register Log In Piano World Home Page Forums Piano Forum Kawai KU-50 Piano? 125 registered members (AnnInMiami, Amedeus, ADWyatt, Akaitsuki, alexk3954, anamnesis, agraffe, Animisha, anotherscott, 32 invisible), 1,237 guests, and 5 spiders. I'm new to the forum and would appreciate your input. I had to sell my beloved piano a few years ago and am now shopping for a replacement. I dropped into a local piano store and stumbled across a 49” Kawai KU-50 upright piano (gloss black). It appeared to be in excellent condition inside and out (but I’m not a piano tech). It has a unique full size music holder (more like some grand pianos). He was asking $4690 and claimed there was not much wiggle room in the price. After returning home I did some web research. There seems to be precious little info available regarding this piano. From the serial number, 2295724, it appears to be a 1997 model (possibly manufactured in late 1996). There are a several pics on the web and a few brief mentions of this model, but no real discussion. Virtually all the web info is in Japanese, so I am assuming that it was not intended for the NA market and is a so called “gray market” piano. When I use Google translator, the results are mostly gibberish, with little useful info. 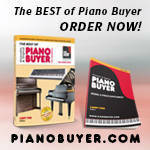 I purchased the online piano blue book of pricing. Alas, this model isn’t listed. I e-mailed Robert for more assistance. He confirmed the age and the non NA model status, but didn’t really know much about the model. He said the “U” in the model number was likely a reference to their grand piano line, so this may be a more upscale model. It was a bit of a guess, but he told me that it might be worth $4000-4200. I performed a search for only Japanese sites and found some pricing info. The “standard” price is 743,000Y ($9053), the “selling” price is 594,000Y ($7237). I found a few other references to the 743,000Y price and believe this to be the original MSRP in 1997. I have also been looking at used Yamaha U1/ U3 pianos, as well as Kawai K3/K5, but this KU-50 really intrigues me. Are there any problems or concerns with this model? How do I be sure this is not a refurbished music school piano with potentially excessive internal wear in non visible locations? If I decide on this piano, I will hire a tech for final inspection, but I would like to be able to rule out any dog pianos before spending a few hundred $ on a tech to check out a possible keeper. How do I determine a fair price with so little information available? Should I be concerned about replacement parts on a “gray market” piano that had a short manufacturing run (possibly 1 year) and has long been discontinued? I try to do my own research as much as possible before turning to the experts. I would appreciate any and all sincere input to my research. Last edited by starcolony; 03/01/11 12:52 PM. Welcome to the forum, starcolony! I am not familiar with the Kawai KU-50 model so can't speak to any particulars about it. However, I did want to offer a response to a couple of your more general questions. 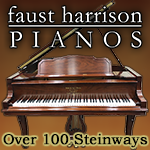 The best way to assure that the piano has not suffered excessive use is through a tech inspection. The inspection should run you around $75-$100 (not "a few hundred," unless it is also including a tuning, which I don't recommend if you're not sure you're going to buy the piano). I would recommend that you go look at the piano yourself first, play around on it and make sure there are no obvious red flags (missing strings, broken keys, broken pedals), and then open it up and examine the action. Very worn hammers will be obvious to the naked eye, as will rusted out strings. I would not be concerned about replacement parts. Kawai is a major brand, and techs will be able to service it. The Kawai KU50 is a NEWER import mdl. as in 1997-1998 manufacture date. It would be considered a gray market piano in that it was never sold via a US Kawai dealer so most Kawai dealers won't have a clue as for what it is. There is not an issue as for it being gray market. Most if not all the KU10,20 or 50 were priced a bit on the higher side $ because of the ATC silent system and mute rail which were factory installed.I have never actually had one, only the KU10 and 20. As fot ressembling any other Kawai mdl.,it is the same caseing as the US5X which is a 49" version of the 52" US6X and or the US8X. Kawai had the BL51 or 61 that ressembled the KU50 except much OLDER than the US5X or KU50. Unless the ATC /midi silent system is appealing to you or a priority feature than go for a less expensive preowned mdl. That's all I know without any research. Good luck! Last edited by pianobroker; 03/02/11 09:40 PM. It is an absurd price since you can get a new 48" for not much more. Thank you for the welcome. Looks like lots of good info and knowledgeable folks here. Your advice is sound and appreciated. I was really hoping to find a Kawai Gear Geek like you to pitch in (I mean that as the highest compliment). I am not familiar with the "ATC silent system and mute rail", but I'll do a bit of homework to fill in the blanks. The KU-50 caught my eye due to the unique appearance. I didn't get to spend much time with it, but I liked both the sound and feel. I tried 2 used Yamaha U1's and a new Kawai K3. One of the U1s ($2988) was pretty beat up; the other ($3795) looked and sounded decent. The new Kawai K3 had a bizarre action. The owner said it hadn't been setup yet (understatement). He then motioned me to a piano (sorry, I don't recall the brand) that had been setup and proudly asked me to try that. The sustain mechanism squeaked so badly that I couldn’t bear to play it. All the pianos seemed a bit steep in price, but I was hoping if I knew the fair value of the KU-50 and flashed some cash he would see things my way. I only have one local piano dealer, so it looks like a trip to the big city is in order. 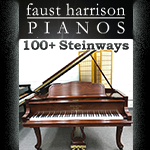 I’ll try to hit the closest one tomorrow and get a better feel for other pianos and pricing. If I still like the KU-50 I’ll make him a low ball offer. If he declines, I’ll keep shopping. What is a fair price range for this piano in excellent condition??? I think $4690 for a 1997 KU-50 is a reasonable price provided that it does no have any fatal problems such as worn out hammers or untunable pins/wires. If you have any specific Japanese web sites on which this model is being describe and you need more precise translaton than the automatic translation into English, feel free to tell me so. I would be pleased to do so. I appreciate your generous offer to provide translation services. I'll go back to the Japanese sites and see if I can find something remotely resembling a review or discussion of the KU-50. From my feeble memory, I recall most of the sites to be more retail sales oriented. As such, most of the info will be marketing fluff, not worthy of your skills. I'll go back and search again and let you know if I need your help. Well, I headed out today to hit 2 more piano stores. Played a new K3, some new/used U1s. They are definitely different, but not yet sure of my preference. The KU-50 was still tugging at me, so on the way home I made another stop. I wanted to play it one more time to see if I should schedule a tech inspection and start negotiating price. So the KU-50 quest ends here. Thanks to all for the helpful and thoughtful input. Your time and effort was appreciated.